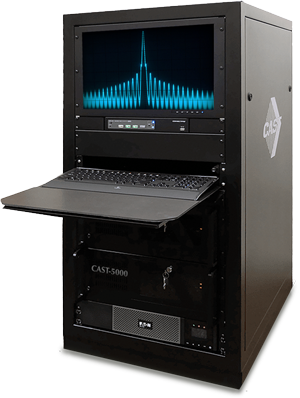 The CAST-5000, a Controlled Reception Pattern Antenna (CRPA) tester, is known for its high accuracy and precision in controlled-reception-pattern antenna and attitude determination receiver testing. Producing one clear GPS RF signal wavefront, this GPS wavefront generator for CRPA and attitude determination receiver testing creates four independent simulations that meet in a single point. It boasts a < 1cm intercard carrier phase error. To date, this GPS wavefront simulator is the only CRPA tester that allows full testing of the antenna system, from start to finish. The CRPA antenna, electronics, and the receiver can be tested simultaneously even without the signals. 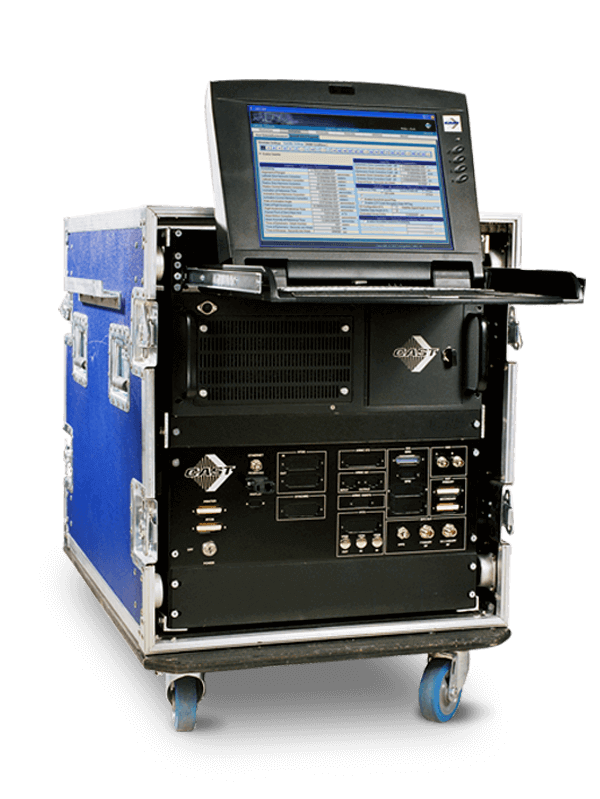 CAST Navigation offer government and military clients the option to upgrade their CAST-5000 configuration to one that features an additional anti-jam testing capability. This allows them to specify interference levels and signal transition characteristics for broadband and narrowband jammers. Our portable dual frequency GPS satellite simulator, CAST-1000, is much like the CAST-2000. 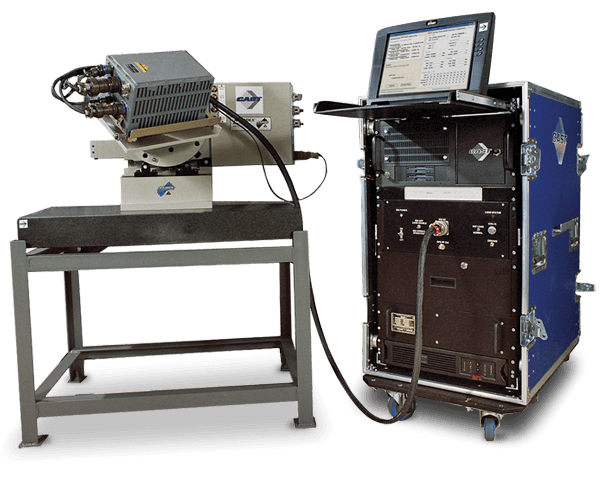 It simulates GPS RF signals to allow repeatable testing in the laboratory or in the field. It also uses dual frequency signal generation technology, which can be controlled in real time or configured prior to the test. The difference is that CAST-1000 is mobile and easy to carry around, making it the high-performance solution to responding quickly to test requirements. The CAST-1000 can produce GPS signals with up to 12 satellites in view. Chosen from the pre-configured Pseudo Random Noise codes, it simulates signals for satellites of P Code on L1 and L2, and C/A Code on L1. According to research conducted by the US military about Embedded GPS Inertial (EGI) maintenance actions, most of the EGIs returned to the manufacturer are actually functioning well. These fully functional EGIs are squawked off aircrafts, which often leads to high rates of RTOK or Re-Test OK. There is a lack of troubleshooting equipment, unfortunately, and the current process is to return the EGI to the depot for evaluation. This is where the CAST EMT3500-3 EGI diagnostic tool comes in. This revolutionary embedded GPS and INS test equipment is specifically designed to help identify errors and failures, ensuring that that EGIs returned to the depot indeed needed repair. The Embedded GPS/INS (EGI) dual sensors only complicate troubleshooting on the flight line, and there’s a shortage in efficient field support equipment, making software upgrades challenging. In addition, some operational flight program (OFP) loaders require the removal of the EGI from the aircraft. 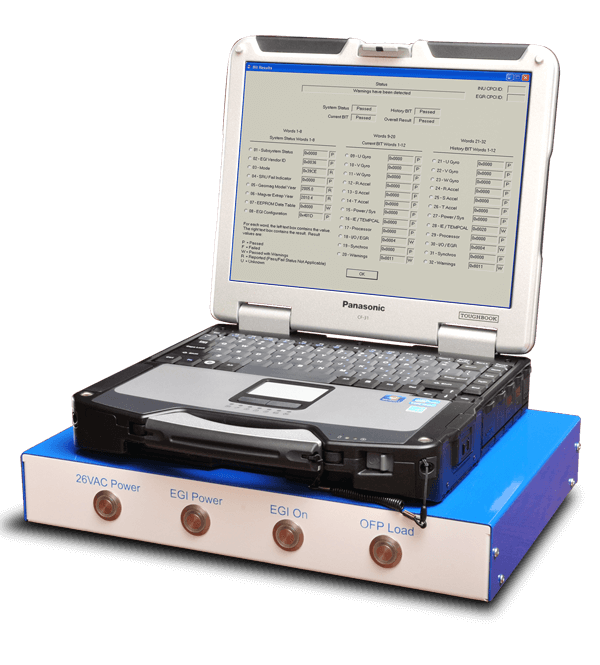 Fortunately, CAST Navigation has developed the CAST GPS/GNSS EMT3500-1 EGI flight line tester, a special test equipment that is ideal for flight line military, government, and industrial applications. It is high-performing and designed to ensure usability in the field. 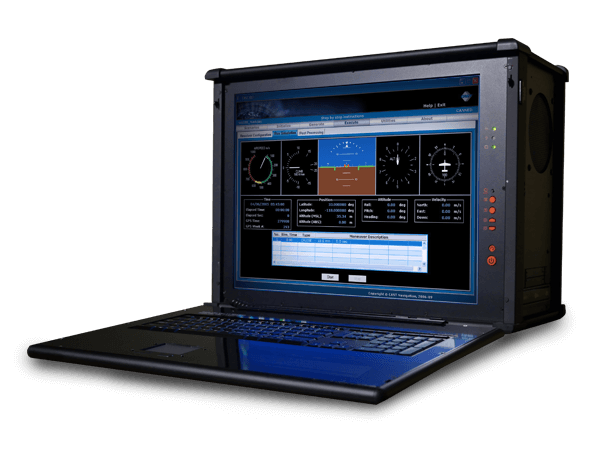 Our dual frequency GPS satellite simulator, CAST-2000, assists in the development, verification, and validation of navigation systems for any application, including for government and military purposes. It boasts a fully programmable dual frequency GPS RF signal generation feature and a new GUI, making it ideal for advanced navigation technologies. The CAST-2000 works by producing a GPS signal that allows testing in controlled laboratory conditions. It uses dual frequency signal generation, which is fully programmable and can be controlled by software in real time. This allows safe, repeatable testing.